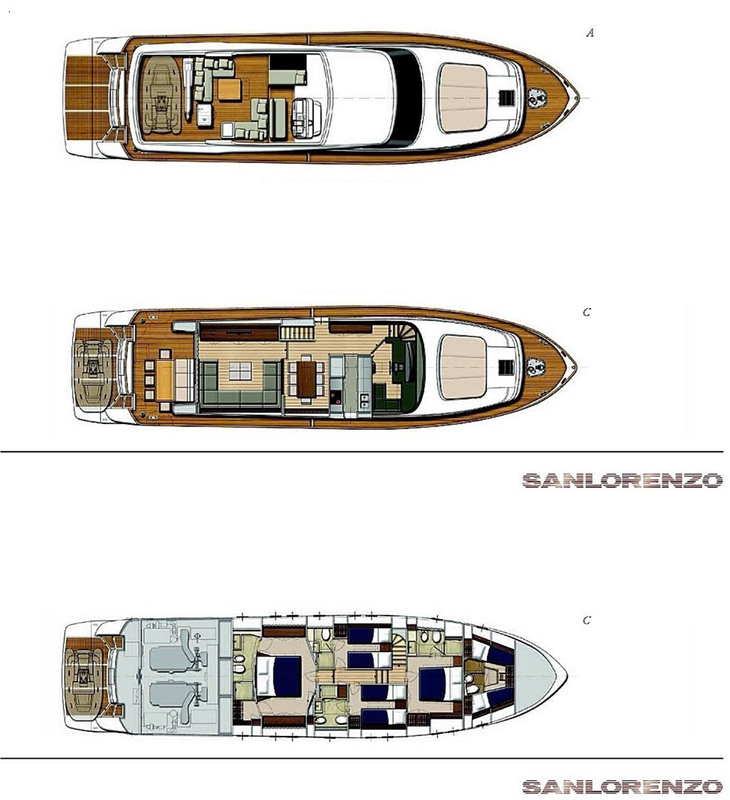 MY DREAM SL72 represents a classic design for the shipyard. 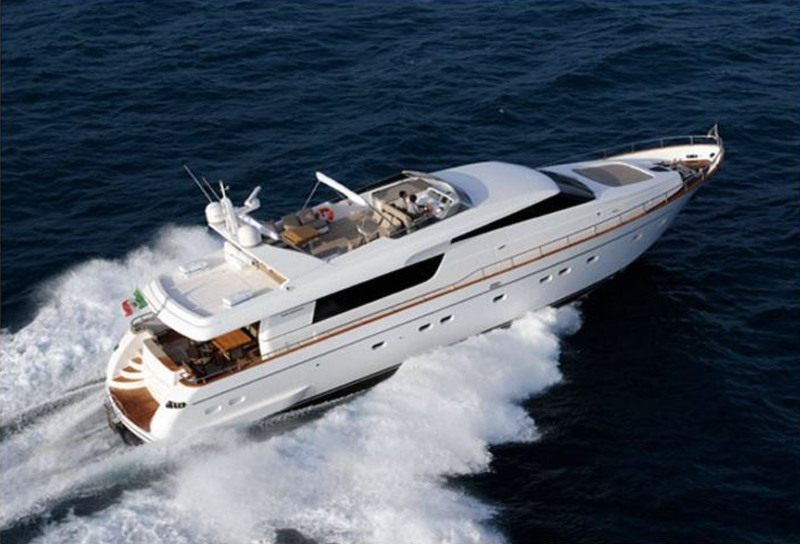 It is a 22m motor yacht, designed to comfortably accommodate up to eight guests plus three crew members. The completely redesigned interior layout creates much more space in the salon and provides superb panoramic views. 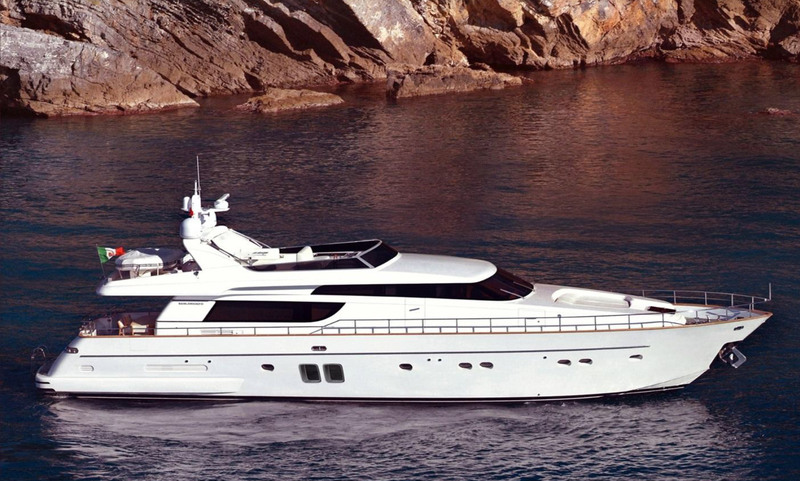 The SL72 employs the perfect mix of high quality materials, for which Sanlorenzo is famous. The combination of Zebrano wood with white surfaces and white lacquered glass on the cupboards enhances the feeling of spaciousness. 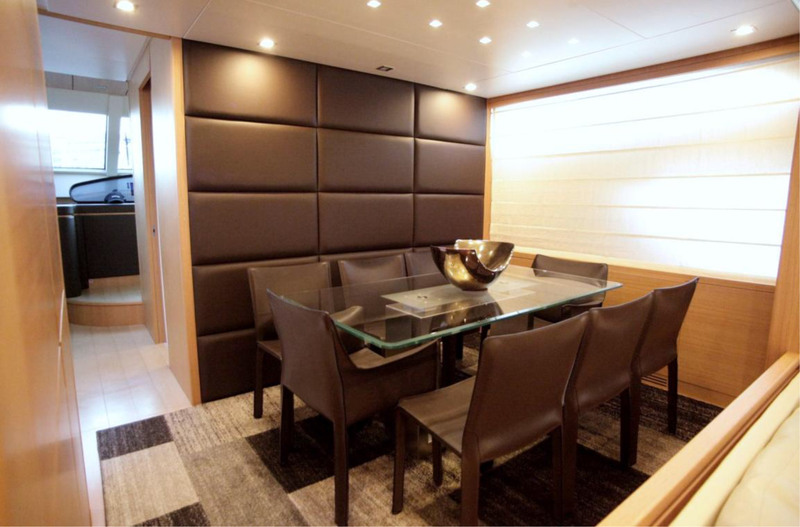 The new leather floors in the dinette and pilothouse give the yacht a noble touch of style and design. True to Sanlorenzo standards, only the finest and highest quality textiles and leathers have been used throughout the entire yacht. The total redesign has been undertaken by the Minotti Design studios under the direction of Stefanie Haupt. The redesigned galley incorporates a large retractable hatch to the dinette area for improved service. The pilothouse has been re-arranged for a more ergonomic layout and placing of the navigational instruments. 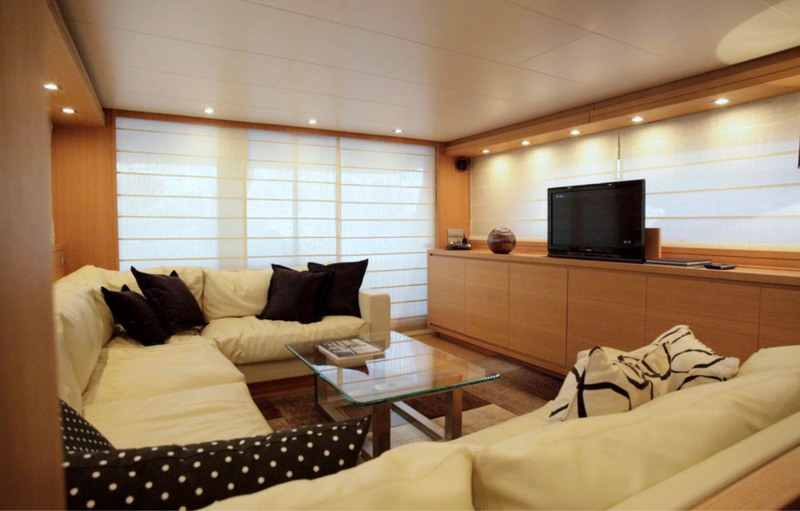 The master cabin is more spacious and incorporates a full beam bathroom. A novel feature is an electrically operated panel which reveals a clear glass wall between the bathroom and master cabin which enhances the feeling of spaciousness. The master bathroom incorporates the use of the exclusive Pietra Luna stone. Design changes also include an improved outlook from the aft deck. 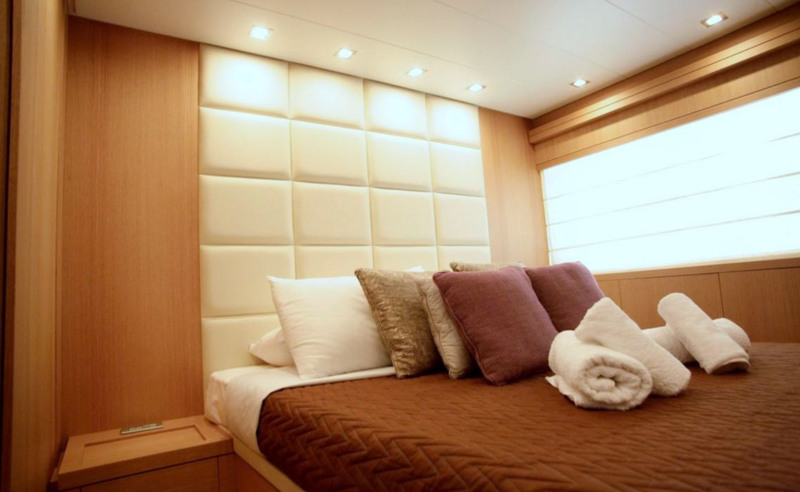 The flybridge has a more spacious feel and incorporates integrated sun beds. 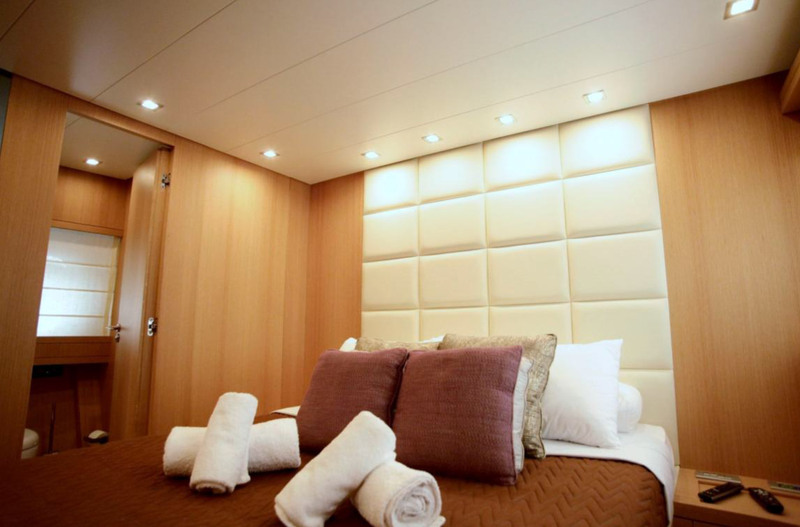 Dream's interior layout sleeps up to 8 guests in 4 staterooms, including a master suite, 1 VIP stateroom, and 2 twin cabins. She is also capable of carrying up to 4 crew onboard to ensure a relaxed luxury yacht experience. Timeless styling, beautiful furnishings and sumptuous seating feature throughout her living areas to create an elegant and comfortable atmosphere.